We were up nice and early, 06:45, to grab some breakfast before we got picked up for our tour. We waited and, sure enough, a car came to pick us up, if not just a few minutes late. We rode the car to the bus, where we got on, paid, and met our guide. Our guide was named SP and he was incredibly knowledgeable and funny. We arrived to a point just before a checkpoint which has a child’s funfair & a steam locomotive train which was bombed during the Korean War. 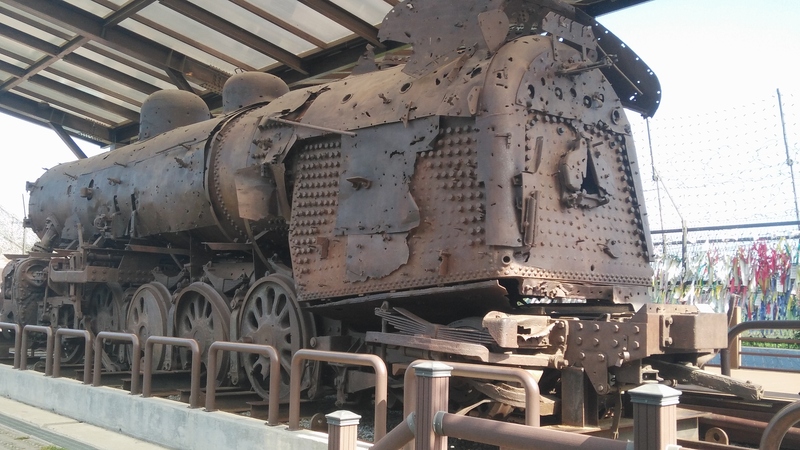 Steam train with 1020 bullet holes! 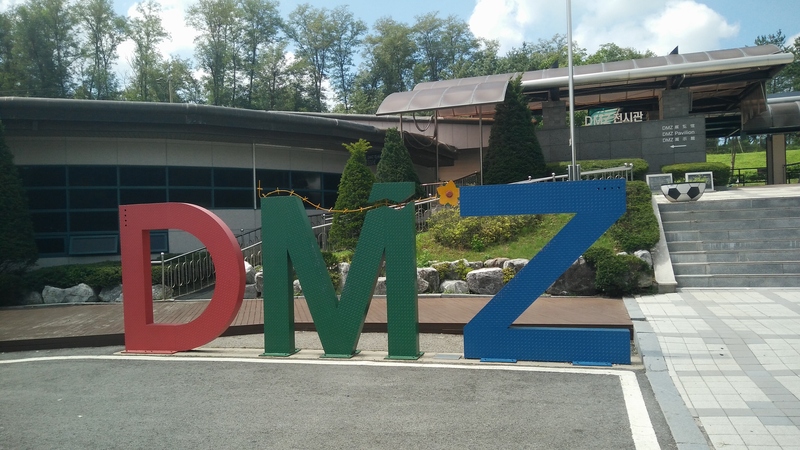 We had our passports checked by South Korea before heading towards ‘the 3rd tunnel’. This is one of (the 3rd, surprisingly) the tunnels that the North Koreans dug to setup and infiltration into South Korea. 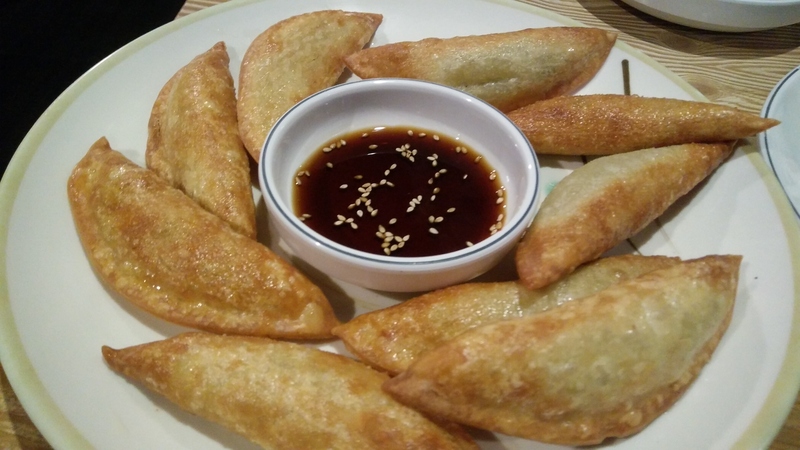 The North Koreans closed their end when it was discovered, but maintain they know nothing about it! 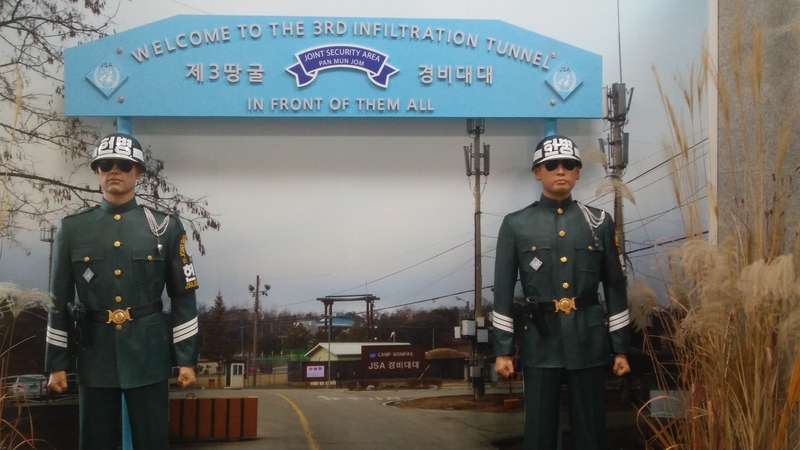 We went into this tunnel after watching an 8 minute video which was essentially a South Korean Propaganda video. The tunnel was small and fairly narrow and took a while to go into and out of. At the end, it is just barracaded and that is all there was to see. It wasn’t all that interesting to be honest and it hurt our backs, because we’re clearly old! 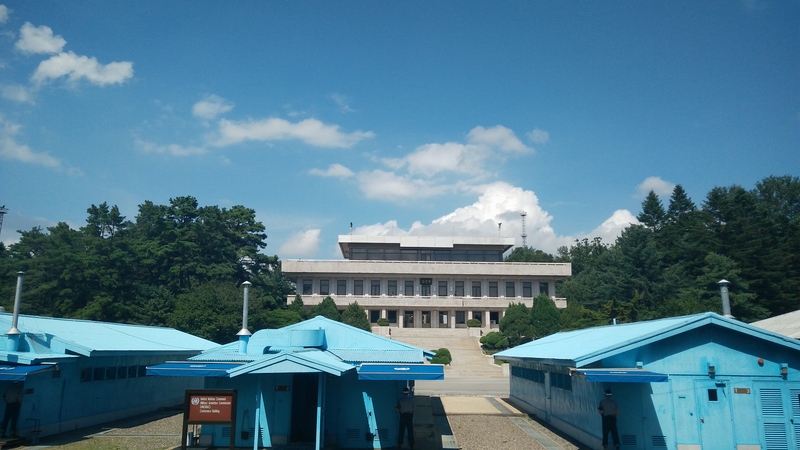 After the 3rd tunnel, we went up to the top of a hill (which is, other than the road, ridden with landmines) where there’s a military building used for meetings and an observation deck. 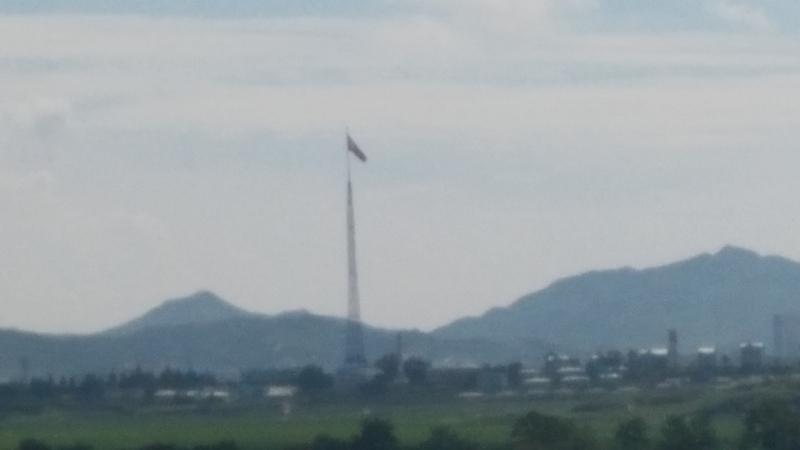 This deck is covered in binoculars which ruin the landscape, but beyond that is North Korea and one of the tallest flag poles in the world from North Korea, stretching 160M into the air. 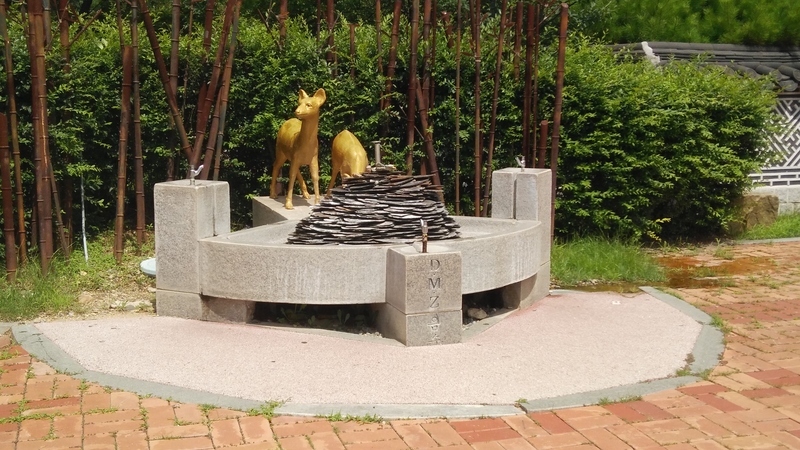 There was music blasting from speakers on the South Korean side to drown out the North’s Propaganda. 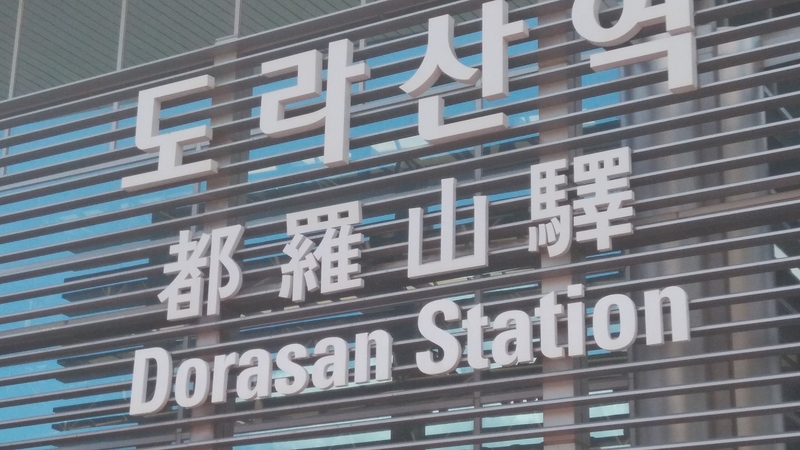 Next, we traveled to Dorasan Station, which is technically still a used train station, but just 2 trains a day go to from the station to and from Seoul. This was meant to be used to transport materials to factories within the North which were owned by the South. This was never actually used for this reason. There was, and still is, a plan to link it with railways around the world to make it possible to go around the world in just 1 week by train! 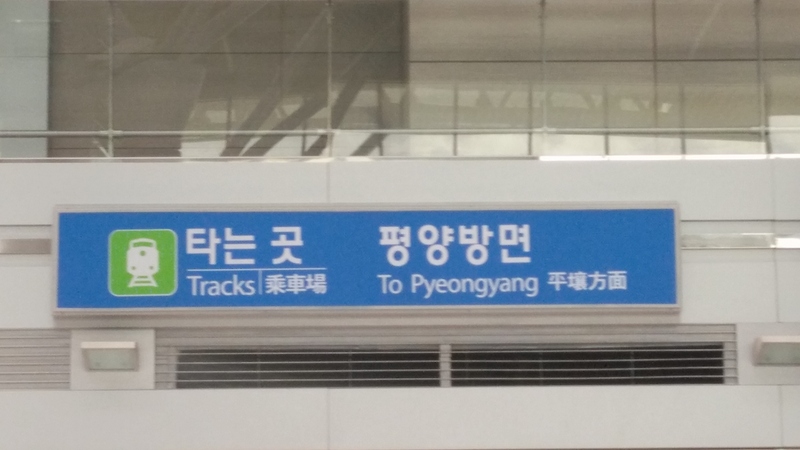 The former track to Pyongyang. 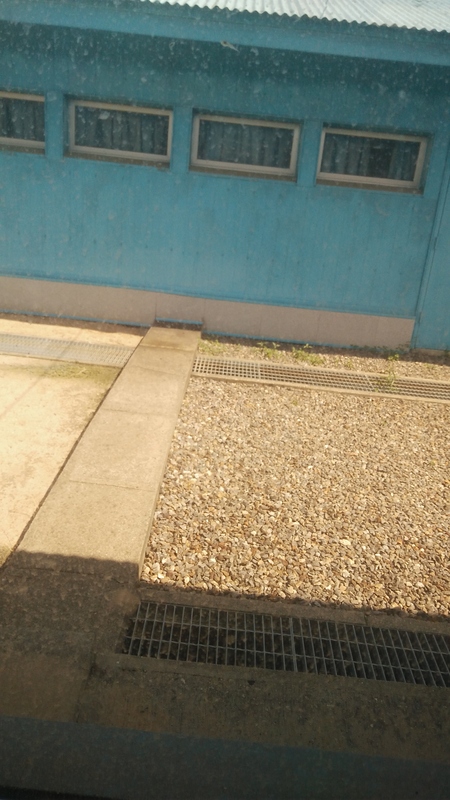 Once we finished at this train station, we went to a former government building for some lunch, which wasn’t all that great. We’ll skip over that part. 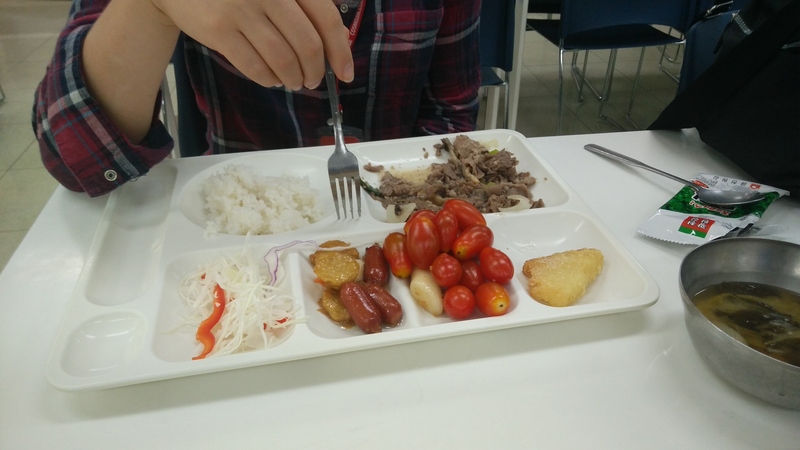 It was basically vegetables and rice. 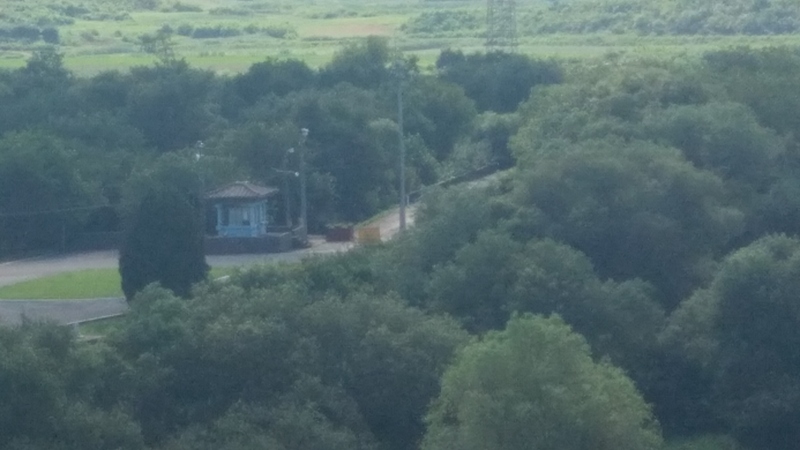 The ‘gate to North Korea’ on the highway next to where we ate! 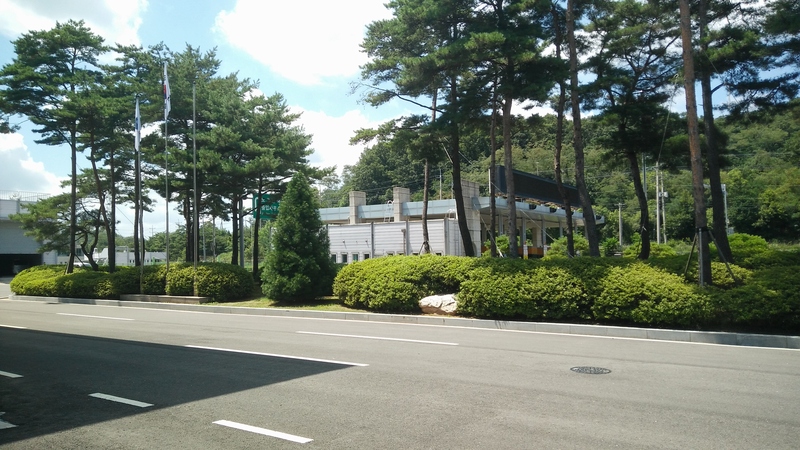 Next, we moved onto another checkpoint, which is at a base run by the UN, but mostly by the US Military. A US Army Corporal entered the bus to check our passports before allowing us to enter the base! This base is within the JSA, which has a devide between the North and South. 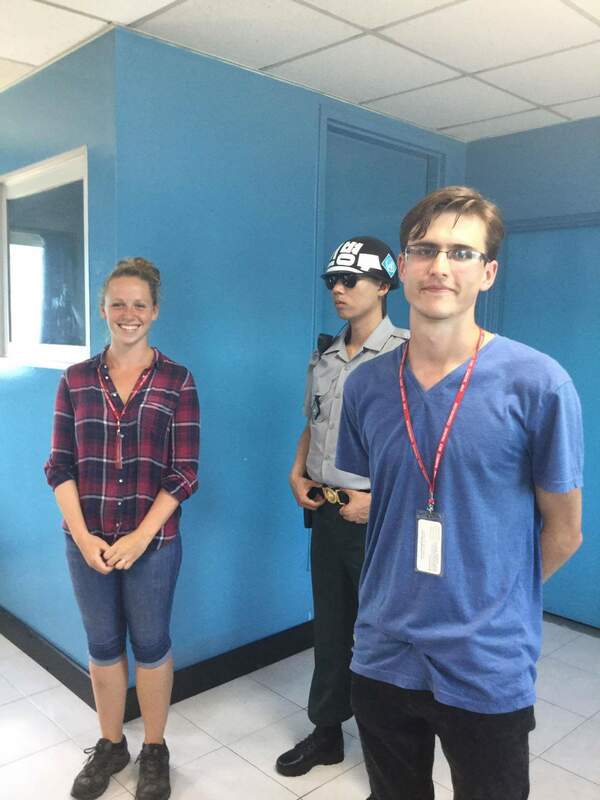 We had a briefing basically telling us what we can and cannot do, such as photos unless told & making gestures or speaking to the North Korean Army. 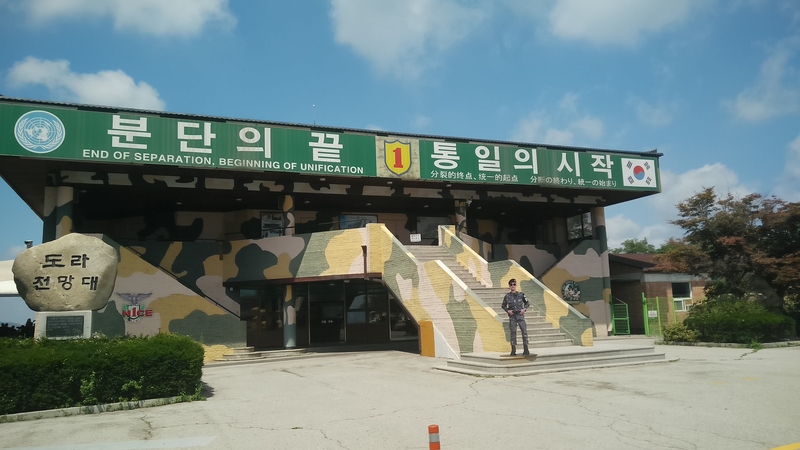 Once we had the brief, we were taken to the area where the Freedom building, which was built as a reunion area for Koreans (but has never been used), is and we were met by the Joint Duty Officer (JDO) who basically runs the whole south side of the JSA. He’s pretty important. 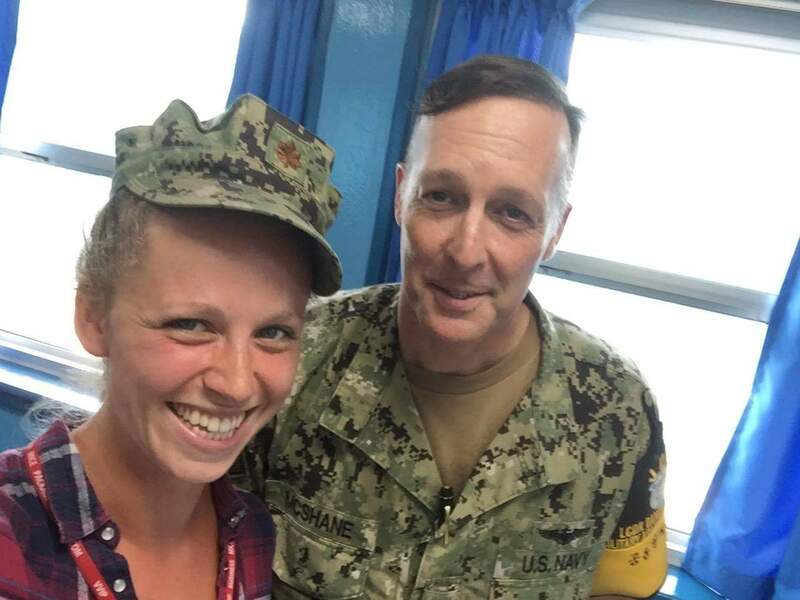 He is a Navy Commander and was an incredibly nice guy. 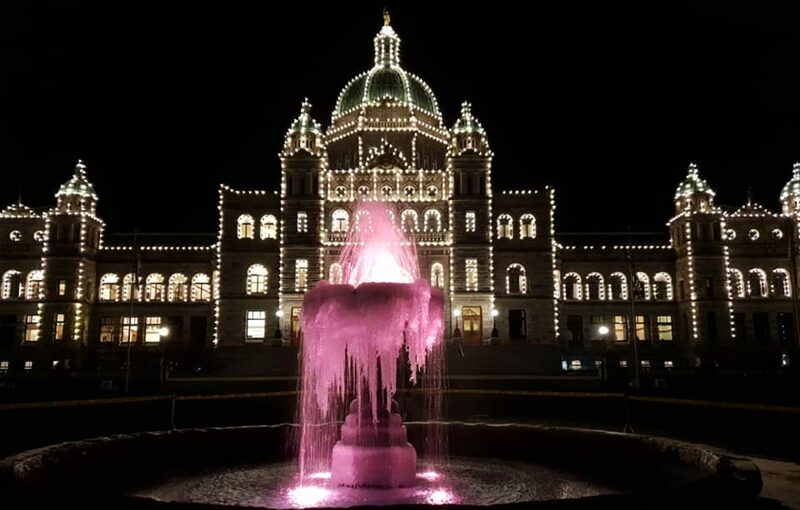 Whilst we waited for another set of tourists to finish their part of the tour, the JDO kindly took us on a little extra tour and let us know about some other things around where we were. He also took some questions and had a general chat. Once ready, we went into the area where the borders meet. 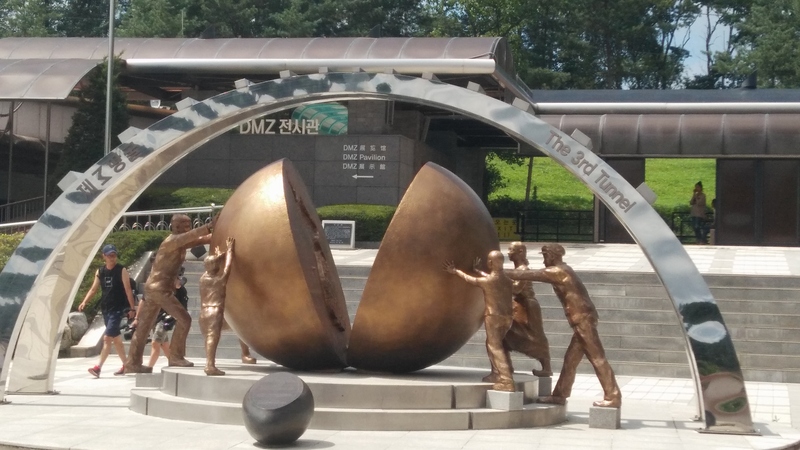 There are South Korean Army (stood with as little of their body shown as possible, so If they’re shot at, there is less to hit) and also 1 North Korean soldier. 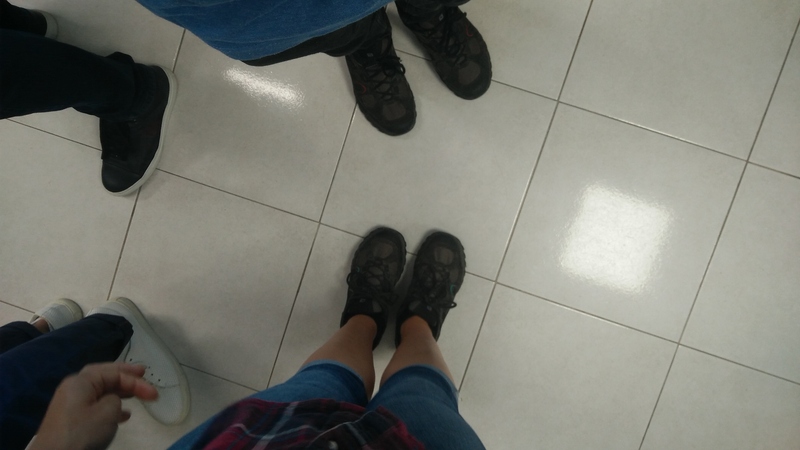 There are multiple buildings around, and we were able to enter one. 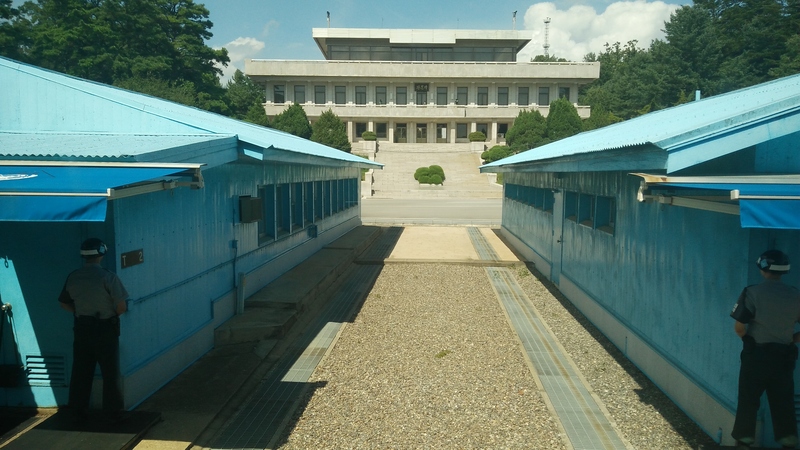 Inside this building was a meeting room which is used to have talks between the UN & NK. 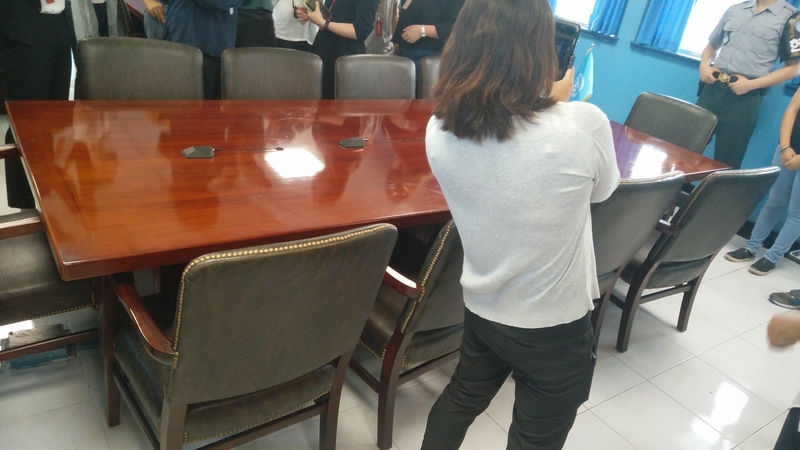 The opposite side to this table was South Korea, meaning, that’s right, the side we were on was North Korea! 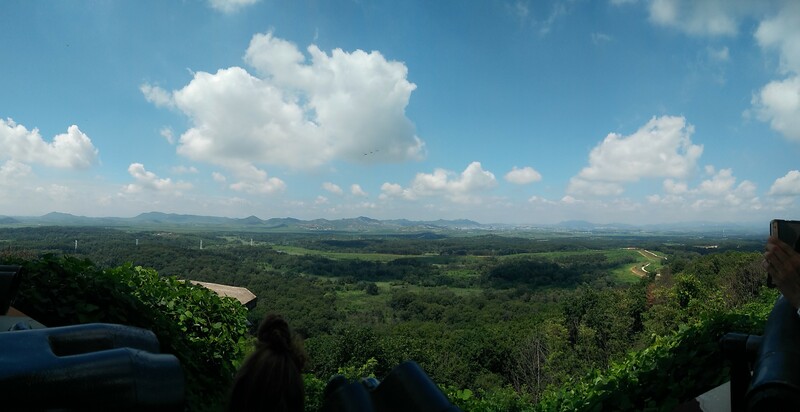 Although a lot of people may not agree we’ve been to North Korea (I mean, technically, we have). Once we were done with this area, we were kindly taken to ‘Checkpoint 3’ which we were informed that tourists no longer go up there, but because we had important people with us (the JDO) we were able to! 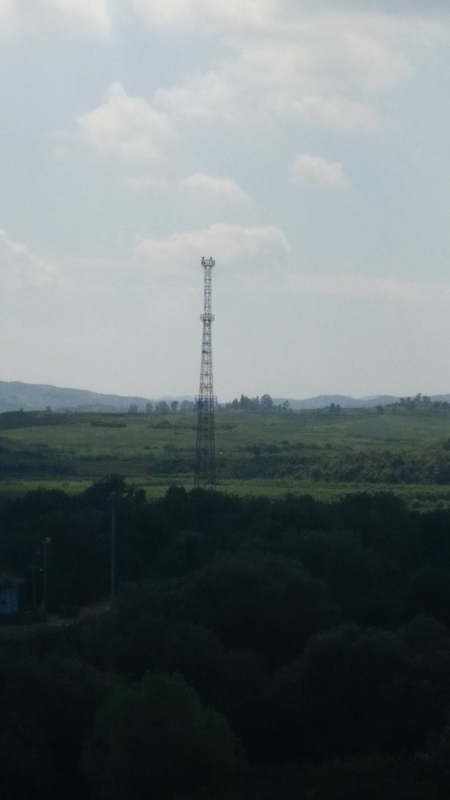 We could see NK more clearly, as well as the Axe Murder site, the Bridge of No Return and also the Propaganda village (housing the NK flag pole and a fake village). 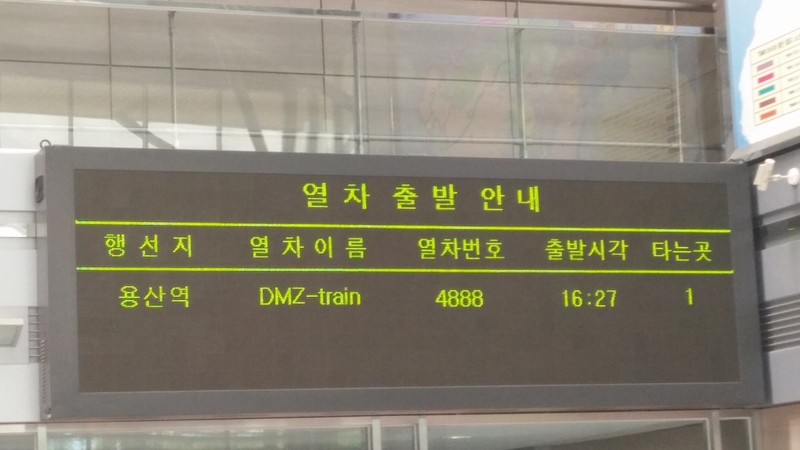 We could even hear the North Korea propaganda from the speakers. We were then surprised by going to another place which we’re not meant to go. The Bridge of No Return. Since the bridge has not been used after President Clinton attemped to walk across it (and was marched back!) 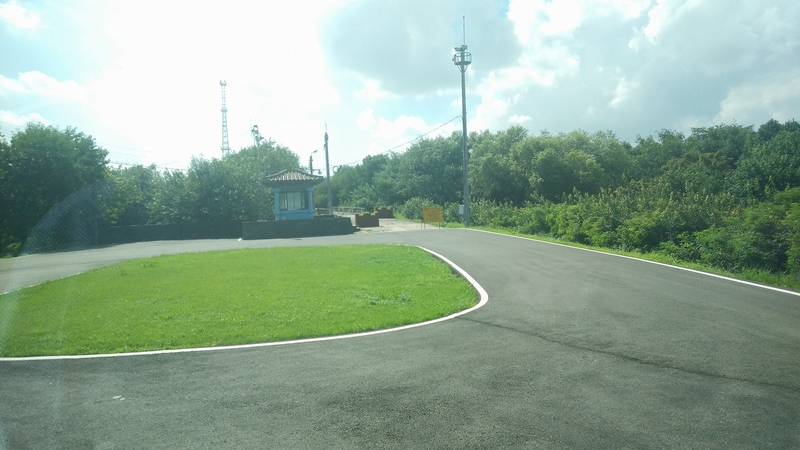 It has not been open for visiting and, last year, the North Korean Army has now laid mines there, so that’s a definite ‘no’ on that one! We went back to our briefing area and went to the museum which has a few artifacts in, nothing crazy. Downstairs was a giftshop where we decided to purchase some old North Korea coins, because it’s awesome! 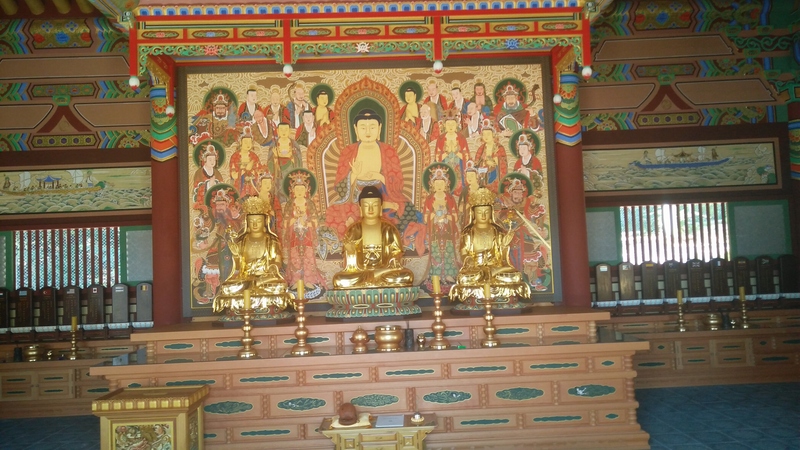 There was also a temple there, too, so we had a small peek in there. 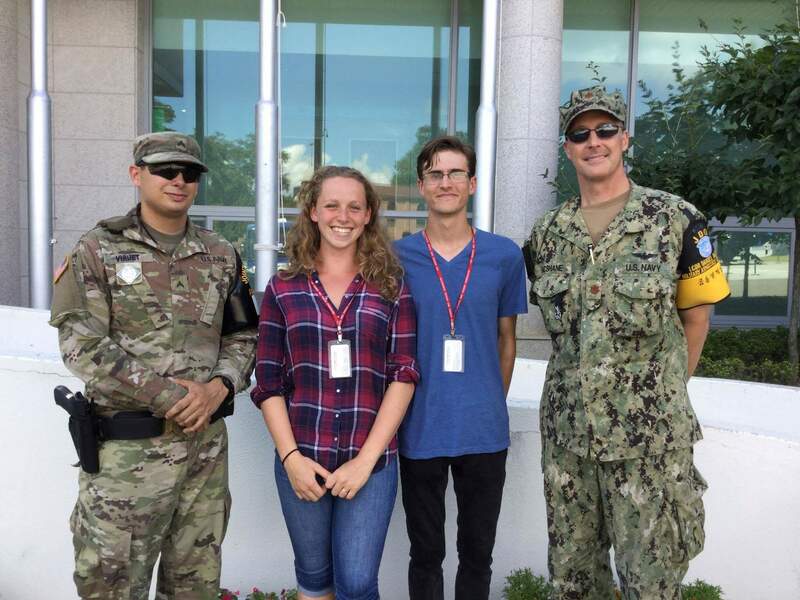 We then left the base and headed back to Seoul, but not before we said thanks to the US Military that took us around for the day! Kim HAD to get a photo with the hat on! 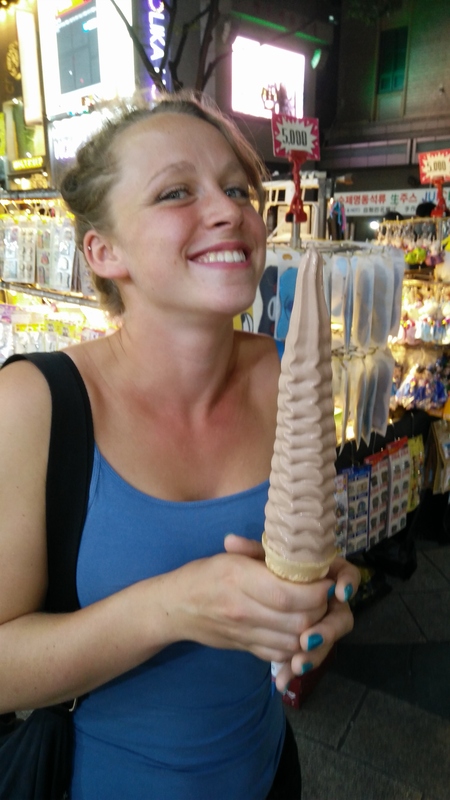 We finished in an area called Itaewon and got the metro back to the hotel for a much needed shower before going out for dinner. All-in-all, we had an amazing long day, doing things that we thought we would never get to do before!